Honest thoughts on the CHILD'S PLAY remake. I've been thinking about the Child's Play remake recently, and I'm coming around to the idea/thought of it. And judging by the poster art for the film, this looks to be a modern retelling of a story we know and love. And I have to get behind that idea. I know and understand that the original franchise is still very much alive and quite strong at the moment. And that's awesome. I'm glad it is. Do I think the series needs a remake? No. A reboot? Yes. Even though you could argue that Curse of Chucky was a reboot of the franchise. So...the nitty gritty. MGM really only holds the rights to the Child's Play name. To the best of my knowledge, they do not own the rights to "Chucky" or "Good Guys." So if you look closely on the poster, the name of the doll is Buddi. And the "I" seems to be dotted with a WiFi symbol. This tells us that this doll is most likely a smart doll that's tapped into the internet. Makes sense. The Good Guy was cutting edge in 1988, and the Buddi seems to be cutting edge in 2019. Oh, and Aubrey Plaza plays the child's mother in this remake. I'm sold. 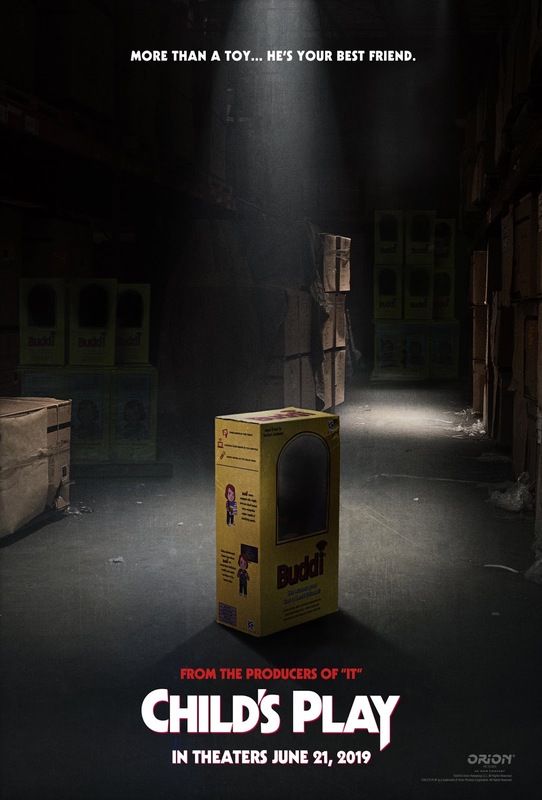 I'm not 100% sure if the doll's name will be Chucky, but I can totally see it being something like Buddy. Buddy the Buddi. I dig it. Hopefully, a trailer is released soon.